We offer DJ service with the best of Latin music, call us today for your quote! 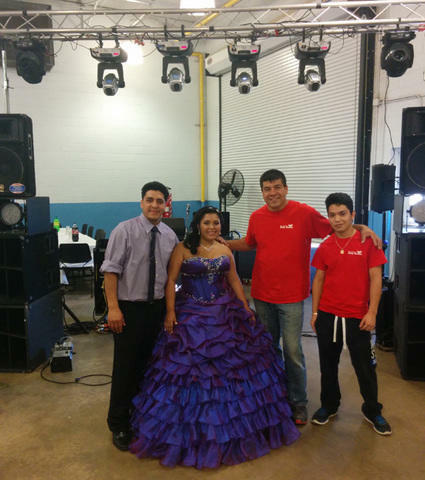 Our DJs have performed at hundreds of weddings, quinceañeras, corporate events and more over the past 15 years. Packages starting at $120 per hour including MC service and intelligent lighting. We also offer discounted packages for house parties, weekday events, or when you book other rental items along with our DJ service!